(1961) Jean Paul Belmondo, Christine Kaufman. In this fine thriller, JP's friend ends up in prison. JP then tracks down the man responsible. An ex-con with ulterior motives convinces the struggling inheritor of a sawmill to use convicts as affordable lumberjacks. 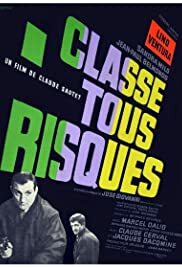 Odd one should be able to stumble into "Classe Tous Risques" only by chance; it should be on any "best of film-noir" list, including IMDb's. 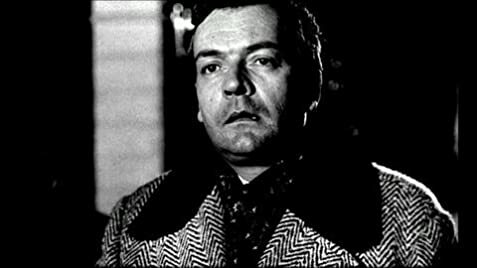 Lino Ventura is as good as ever; knowing of his dire, delicate family situation gives extra weight to his almost expressionless face and brief dialogues. Belmondo's restrained performance under Sautet's firm direction only shows what a wonderful actor he could - and should -have been. "Classe Tous Risques" is utterly mininal, dry and cold, without Melville's artistic scenery, pretty faces and fancy cars. It is almost film-noir meet neo-realism. Davos' few, hard words to his children describing their life of secrecy from there on get a hold on your throat to the end of the film. The final sentence of the film - a voice-over telling of Davos' end in no more than ten dry, sombre words - leaves you with a hard punch in the stomach. A true jewel in the great crown of French film-noir.